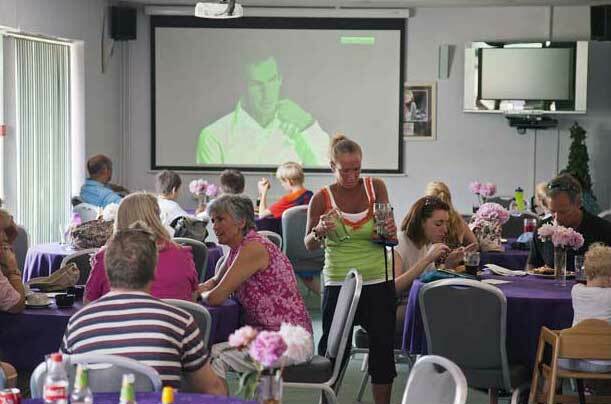 You only have to visit the club on any Saturday morning to appreciate just how much tennis is being played at the Club involving all ages and abilities and including all recognised formats. 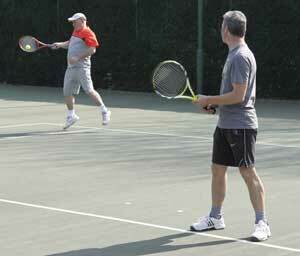 The club has 11 floodlit outdoor courts comprising 4 acrylic, 3 artificial grass and 4 “all weather” courts. The club has a well funded and extensive rolling maintenance programme that ensures our playing facilities match the club’s tennis ambitions. Courts are available for play from 8am to 10pm each day. Priority is given to competitive tennis (team tennis, tournaments, box league etc), coaching (lessons, squads, tennis camps etc), Cardiff University Students (on Wednesday afternoons during term time only), Juniors (Saturday mornings only) and organised Club Mix-Ins (Friday evenings). 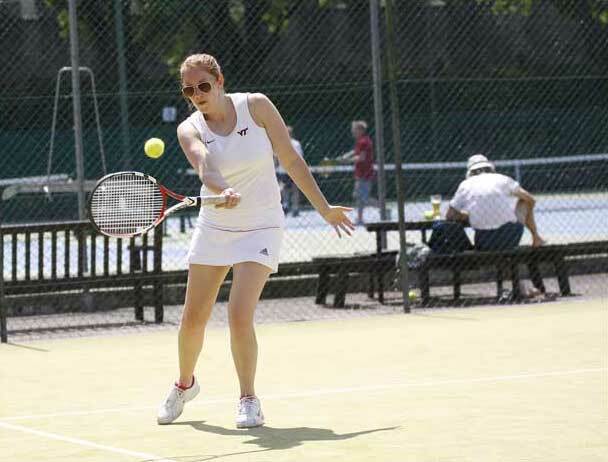 With 11 courts it is unusual for them all to be fully utilised but in this unlikely event where members are waiting to play then playing time is restricted to 30 minutes for singles and 40 minutes for doubles on a strict “first on first off basis”. The quietest times to play are usually Thursday evenings and Sunday afternoons.The floodlights are operated by a card system. Cards can be purchased from the bar and cost £1.50 for about 30 minutes. If you are planning on playing for more than 30 minutes then do not let the floodlights go out as they take about 15 minutes to cool down and then warm back up again so put multiple cards in at the start or make sure you keep an eye on the timer! Court sweepers are available to remove surface water on courts 1 – 4 (the acrylic courts). Please do not use these on other courts and make sure you hang them back up after use to avoid damage. Please make sure that you take all your rubbish off court when you finish. There are gates behind most of the courts but if you do need to cross another court then please make sure you wait until the point currently in progress is played before crossing. Our Club house and changing facilities have been recently modernised. We have a fully licensed bar and catering facilities that include our own in-house chef so members can enjoy a drink and excellent fresh “home cooked” food in a relaxed, friendly and spacious environment. We are fortunate that given our central location we have extensive parking for our members which makes it easy for our members to drop in to use the facilities. However please note that we are a tennis club and not a car park so members should only park at the club for the duration they are using the playing and club house facilities. Members who abuse this privilege will have their swipe cards deactivated. Club mix-ins organised by our Head Coach and committee members run formally on a Friday evening from April onwards each year and informally throughout the Autumn/Winter months. In addition, throughout the Summer months, a number of friendly American Style tournaments are run by the coaching staff which are a great way to meet new members and future “hitting partners”. Ladies night and men’s night are another good way to meet people and these run from 6pm on a Monday and Tuesday night respectively from August through to April when team practice starts. Alternatively if you are new to the Club and are looking for people of a similar standard to play then speak to our Head Coach John Williams and he will be able to put you in touch with someone suitable. If you are new to the Club or just thinking about joining then come along to one of our new members evenings which are held every Friday night April through to June from 6pm-8pm. One of coaches will be on-hand to meet you, assess your game, introduce you to players of a similar standard and then integrate you into the Club mix-in for the remainder of the evening. All we ask is that you tell us you are coming so we know to look out for you! Alternatively, if, for whatever reason, its not possible to come down on Friday evenings then dont worry, just let us know and we will put you in touch with one of the Club’s Play-Makers who will meet up with you, have a hit wth you, introduce you to other members and explain how the Club runs and the best way for you to get involved in social tennis, competitive tennis and the social scene. Tennis Mix-In followed by event organised by Tim Haughton "Journey through the Decades"
Friday 5th April – Tennis Mix-In followed by event organised by Tim Haughton "Journey through the Decades"
Log in | CLTC RSS | Content © 2010-11 Cardiff Lawn Tennis Club.